Welcome to Typographic Maps, here you will find a series of typographic maps designed by us. The idea for making these maps originated from passion, inspired by others. These city plans are popular among people with close ties to one of the cities, tourists, companies who are established here, municipal authorities and of course art-lovers. 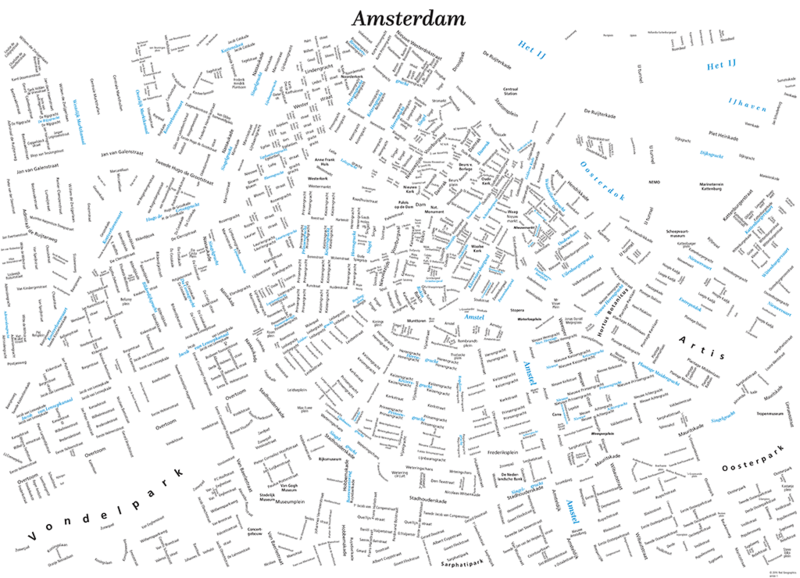 Currently we offer a poster-sized typographic map of Amsterdam, more cities will follow soon.